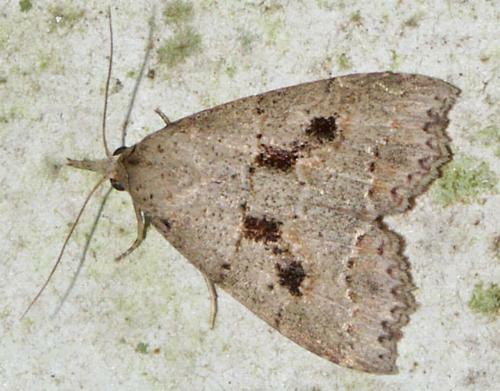 The adult moth has forewings that are pale brown, usually each with two dark spots. The hindwings are a rusty colour. The wings all have serrated edges. The wingspan is about 2 cms. LeapFrogOz, Kuranda, 2015, p. 165. Volume 32 (1908), p. 76.